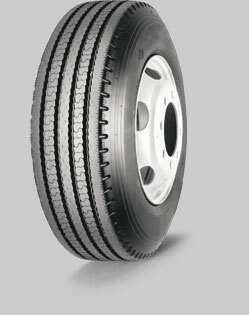 Available in conventional and low-profile sizes, the RY112A is well known for long, flat, even treadwear. Its performance is among the finest trailer-axle tires in the industry. The five-rib tread design wears evenly, produces outstanding fuel economy and provides excellent durability and retreadability. The shallow tread maintains a much cooler operating temperature, which enhances overall tire durability. Low rolling resistance produces extraordinary fuel economy. Five-rib tread pattern with rounded shoulders promotes even wear in trailer-axle positions.